The following is an overview of the events of 1892 in film, including a list of films released and notable births. The final revisions to the Kinetoscope are made, including a vertical transport and wider film. This becomes the de facto technical specification for all silent film by 1909. Max Skladanowsky develops a camera and shoots his first footage this year, but its unusual interleaved image format leaves him ultimately unable to exhibit it until work is completed on the Bioskop projector in late 1895. 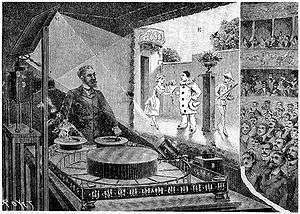 18 October - Théâtre Optique event opens, showing projected motion pictures to the public at the Musée Grévin in Paris.